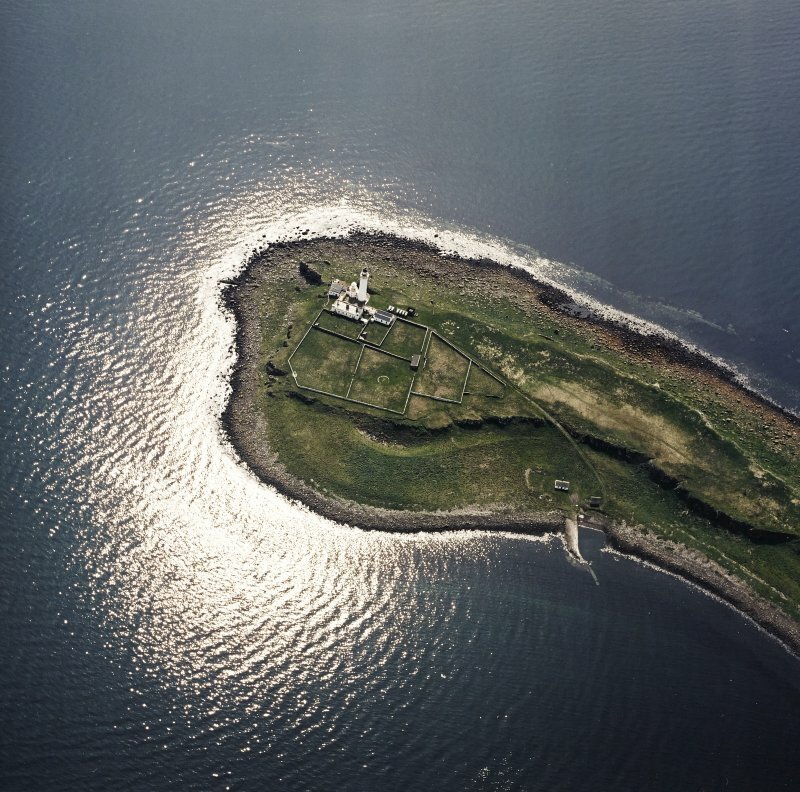 Oblique aerial view centred on the lighthouse, taken from the NE. 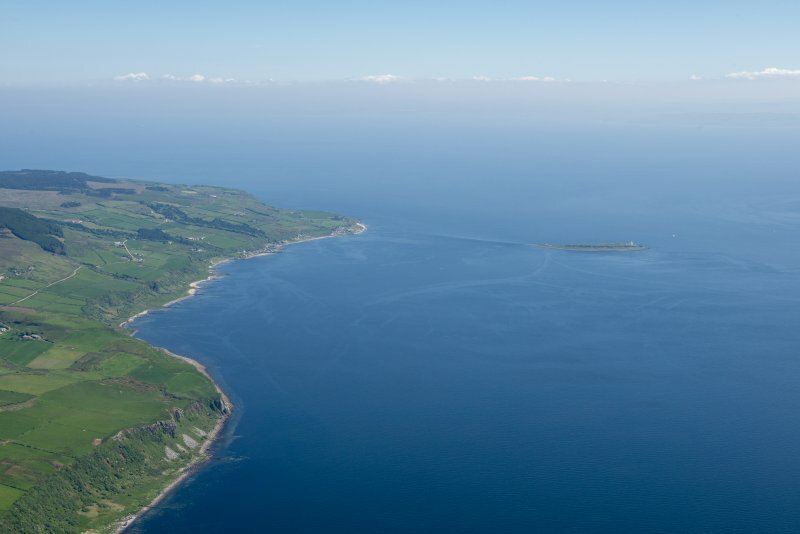 Oblique aerial view of Pladda centred on the lighthouse, taken from the SE. 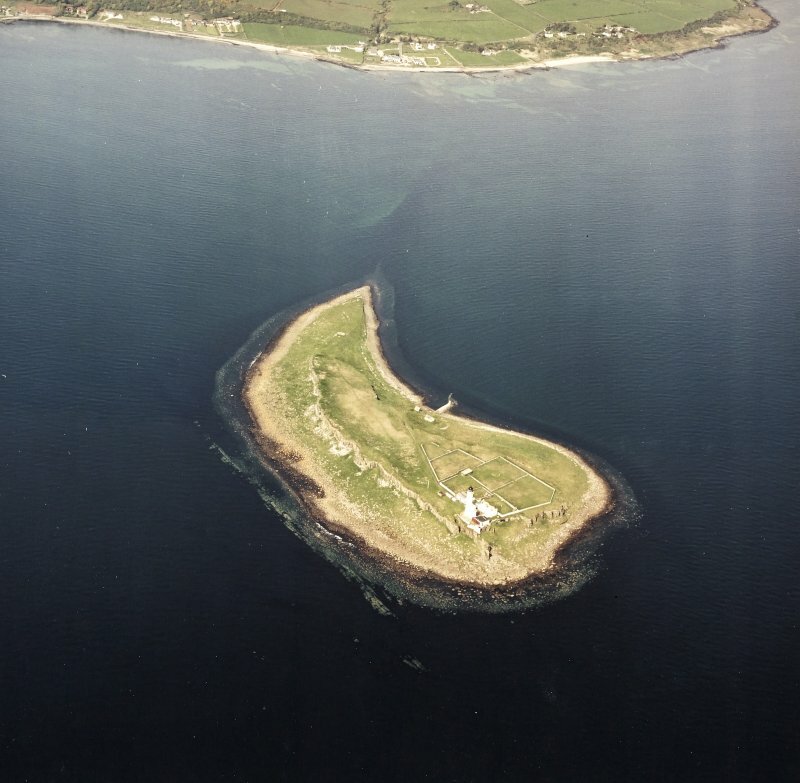 General oblique aerial view of Pladda centred on the lighthouse, taken from the SSW. Location formerly entered as NS 0276 1899 . 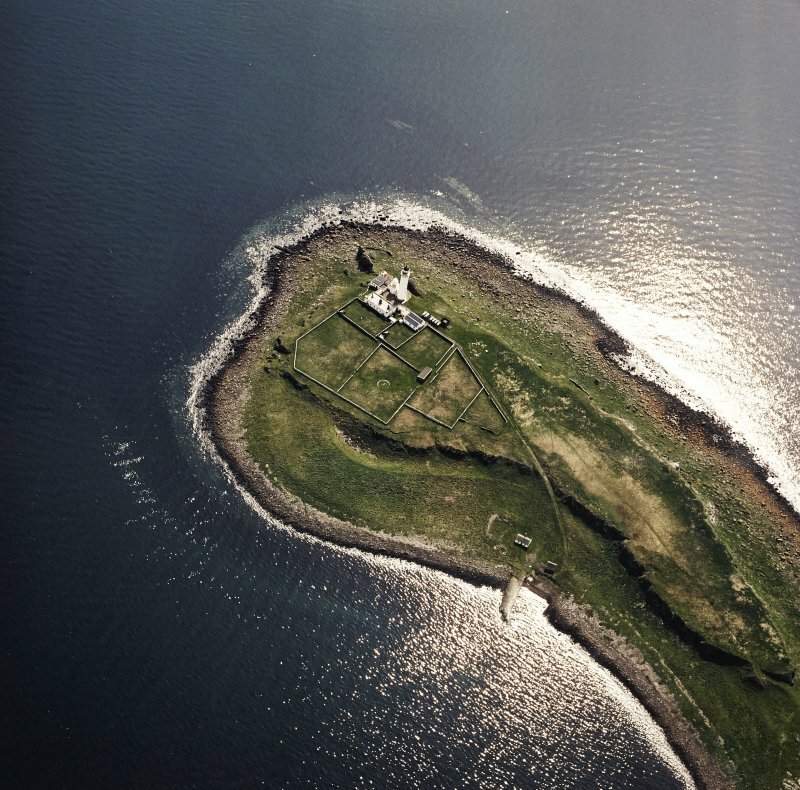 This lighthouse and its ancillary buildings stand at the S end of Pladda, from where it guards the southern entrances to bot Kilbrannan Sound (to the W) and the Firth of Clyde (to the E). 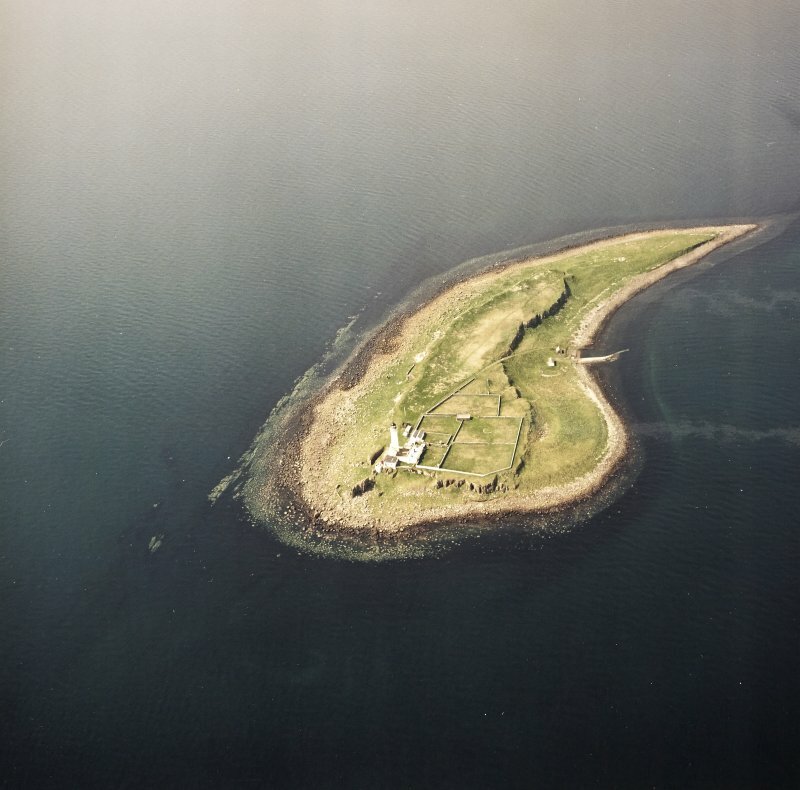 A lighthouse was constructed on Pladda (apparently at this location) in 1790, and was one of five rebuilt between 1821 and 1830 in accordance with the Commissioners of Northern Lights' 'national establishment' policy. Robert Selkirk was in charge of the works. Trials of paraffin oil illumination were conducted at Pladda after 1870, and a foghorn (presumably that entered as NS01NW 2) was installed after 1876. The (vertically-superimposed) 'double lights' formerly fitted were replaced by a powerful group flashing system in 1901. The light was automated in 1990. 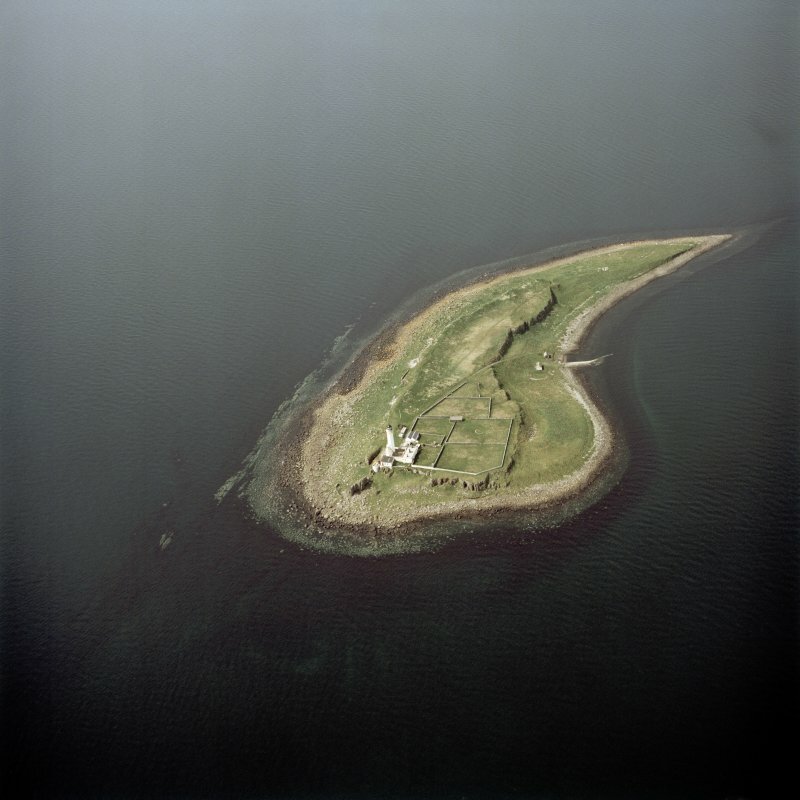 Information from RCAHMS (RJCM), 12 July 2010. R W Munro 1979; K Allardyce 1998.